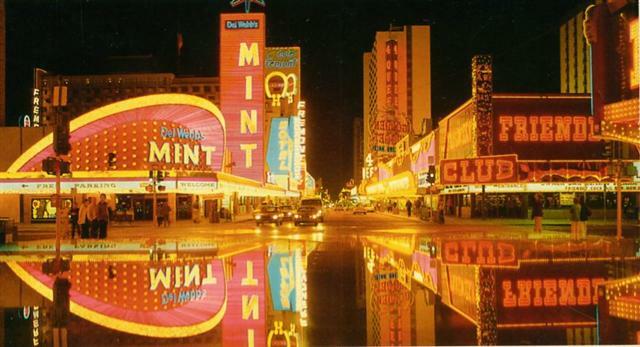 1965 - Reno, NV. Tom's Card Room, a "local's joint" at 120 East Commercial Row, was licensed for poker. 1990 - Las Vegas, NV. Vacation Village Hotel & Casino opens at 6711 Las Vegas Blvd. South, Las Vegas Strip. 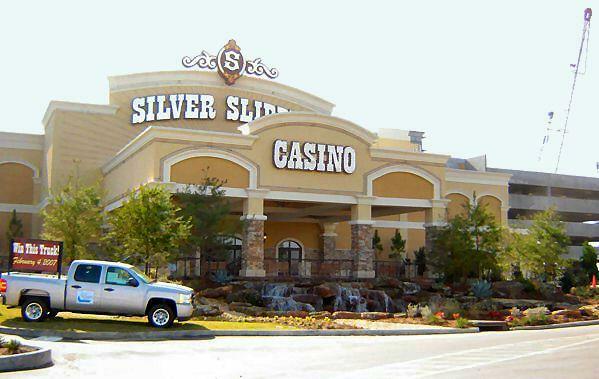 2006 - Hancock County, MS. Silver Slipper Casino opens. 1978 - Las Vegas, NV. Friendly Club opens at 101 East Fremont Street, downtown Las Vegas. 2006 - Atlantic City NJ. 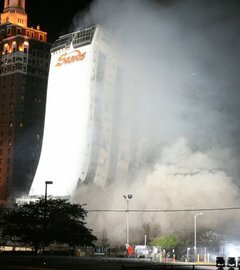 The Sands Hotel/Casino closed on November 11, 2006 The building was imploded at 9:37 p.m. Eastern Daylight Time on October 18, 2007; the first-ever casino-hotel implosion on the East Coast. It was accompanied by a fireworks show and numerous parties along the boardwalk. Coincidentally, Sands was demolished less than 24 hours after the death of the last surviving member of the Rat Pack, comedian Joey Bishop. 2008 - Las Vegas, NV. 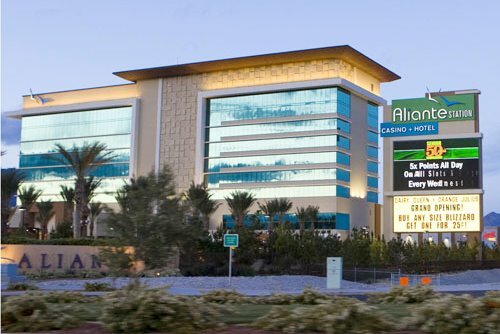 Aliente Casino and Hotel (formerly known as the Aliente Station) is a hotel and casino located in North Las Vegas, Nevada. It is owned and operated by a group of banks and private equity firms.The $662-million Aliante Station project was first announced on December 20, 2005 by Station Casinos. The casino was a joint venture between Station Casinos and the Greenspun Corporation, who had previously partnered in developing Green Valley Ranch. Greenspun contributed the 40-acre site, part of its Aliante planned community. 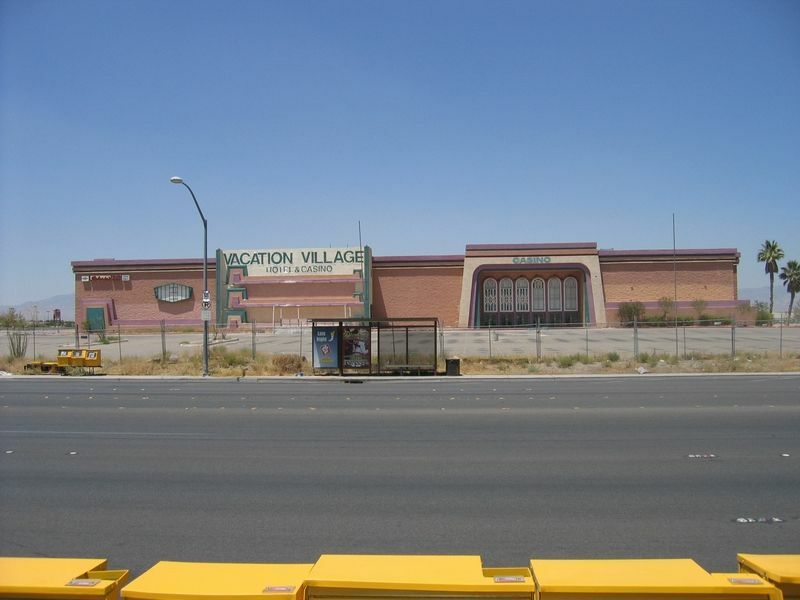 The target market was expected to include the 6,500 households in Aliante and visitors to the Las Vegas Motor Speedway, among other locals and travelers.Aliante Station opened on November 11, 2008, at 10:40 p.m. Aliante was originally going to open at 11:11 p.m., however due to such a large crowd and traffic, the casino opened sooner. Before the opening, a fireworks show was provided for the public. .
1955 - Reno, NV. 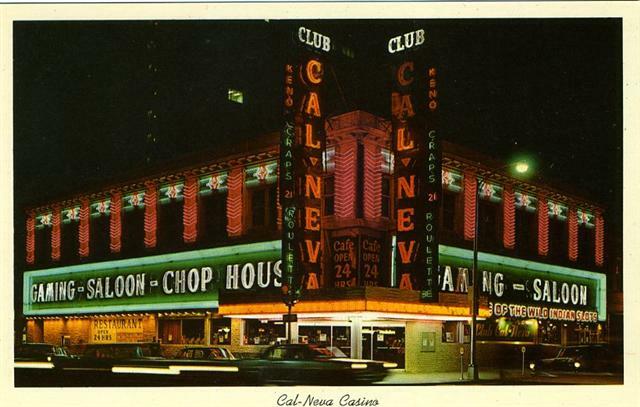 Club Cal-Neva in Reno was closed by the IRS (reopened 12-2-55 under new ownership). 2007 - Las Vegas, NV. The New Frontier closed its doors at midnight on July 16, 2007, and was demolished by implosion on November 13 2007 (Clauss Construction and Controlled Demolition, Inc.). 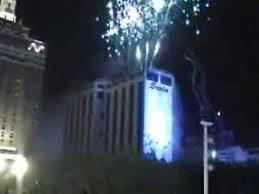 The Atrium Tower was imploded with over 1,000 pounds of explosives. 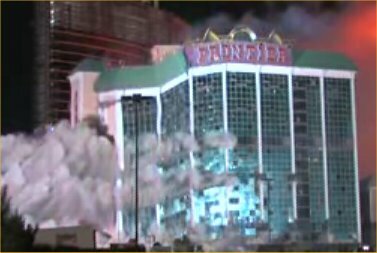 The demolition and its preparation were filmed for the National Geographic Channel and a program called Blowdown: Vegas Casino. The hotel's marquee remained standing until December 10, 2008 when it was taken down at the request of Steve Wynn prior to the opening of the Encore Las Vegas across the street.The Las Vegas Plaza project was cancelled around November 2011. Wynn said that he would not bail out the project and blamed the failure of the development on Yitzhak Tshuva and Nochi Dankner's paying too much for the property. 1945 - Las Vegas, NV. 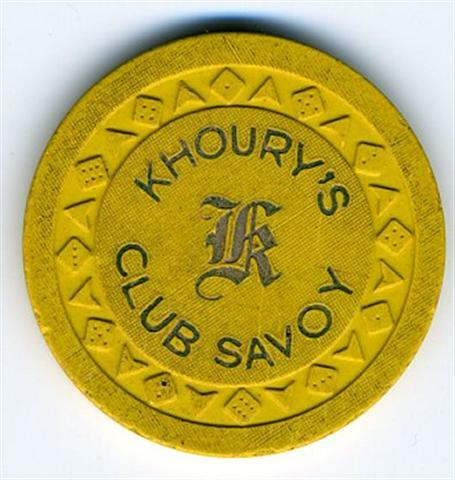 Club Savoy opens at 116 East Fremont, downtown Las Vegas. 1950 - Reno, NV. Frontier Saloon opens. Frontier Saloon was located in Lincoln Alley, a section of the Frontier Club that was licensed separately until May 31, 1952, for slots and 21. 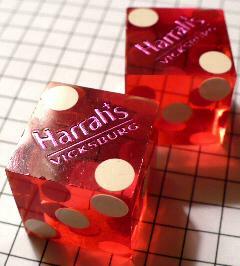 1993 - Vicksburg, MS. Harrah's opens.